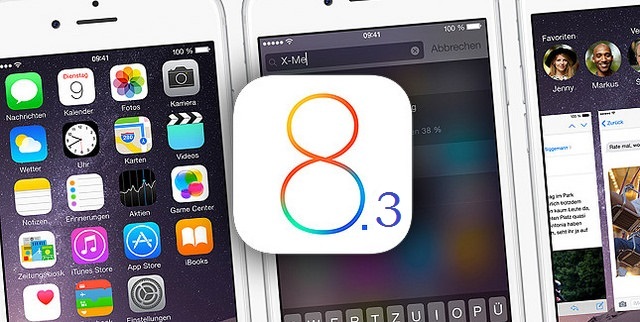 Apple has just released iOS 8.3 beta 4 to developers. The upcoming software, which includes Apple Pay support for China as well as some improvements to emoji customization, has been in the works for a while now, and with beta 4, Apple has included a number of bug fixes and other improvements. Smaller software updates from Apple tend to arrive without any beta releases, but since iOS 8.3 offers a broad selection of features, it’s only logical that several betas would emerge before the general public gets to grips with it. iOS 8.3 has been in beta since before the drop of iOS 8.2 a short while ago, and while this may be the last beta we see before the end-user launch, it seems more likely that this will not be the case. As we alluded to earlier, iOS 8.3 is a substantial jump from the present iOS 8.2, and accompanying the emoji tweaks and Apple Pay in China, Apple is also including two-step verification for Google Apps. Moreover, iOS 8.3 will offer wireless CarPlay support, which fits in nicely with the company’s rampant effort to dispel wires wherever the opportunity presents itself. Right now, CarPlay requires the intervention of the Lightning connector, but once iOS 8.3 loses its beta label, this will no longer be necessary. If you are a registered developer, you can pick up iOS 8.3 beta 4 from the iOS Developer Center, or alternatively, by using the software update feature within iOS to install over-the-air. We’d always recommend installing through iTunes if possible, but either way should do the trick. The release notes for iOS 8.3 beta 4 (build number 12F5061) are relatively vague on the details front, but in good time, we should know more in terms of specifics. In the meantime, we would encourage anybody interested in learning of iOS’s future improvements to download it right now, and provided your device is capable of running iOS 8, you’re good to go. The Apple Beta Software Program makes it easy for non-developers to test this and other betas out, and if you do wish to partake, head over to the Appleseed website, which can be found by clicking here. Once you’ve signed up using your Apple ID, getting started is very straightforward, just follow the instructions as you go along, and in no time, you’ll have iOS 8.3 beta 4 on your iPhone, iPad or iPod touch. Given that it is a beta, you mustn’t take for granted that all of the features will work, and if you’re not happy to deal with any hiccups in terms of functionality, then you may wish to hold off for now and wait for iOS 8.3 to reach GM. With the issues that have plagued many iOS 8.2 users, we’re definitely hoping that iOS 8.3 reaches us in good time, and hopefully, it won’t be as bug-ridden as the current public build.